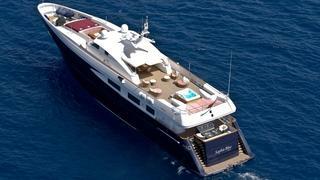 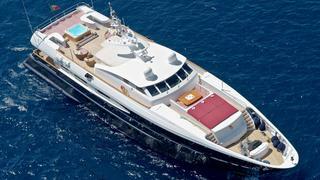 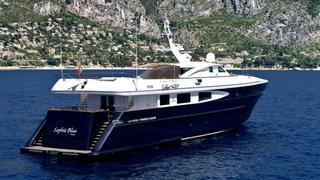 Sophie Blue is a 41m long range motor yacht built by CBI Navi in 1998 to a design by Luca Dini. 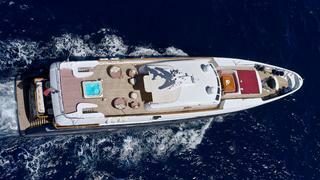 RINA classed, this superyacht has a warm, mahogany interior accommodating 12 guests in a main deck master suite, VIP stateroom and four double cabins. 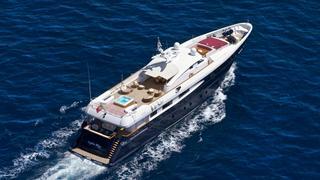 Twin 1800hp Caterpillar engines give Sophie Blue a tremendous range of 6,000 nautical miles.